How can I solve hair fall problem? /Beauty/How can I treat hair fall problem? How can I treat hair fall problem? The problem of hair fall or hair loss is experienced by many people. Experiencing hair loss at early stages of your life can be shocking as well as frightening. Once you start having problems with your hair loss, it may continue for a long period of time, if proper remedies are not taken into consideration. Both men and women suffer from hair fall. It can be understood that when you start aging, you naturally tend to have hair fall, which is most common in men than women. However, when a person grows old, they really don’t care much about their hair loss. The adults, on the other hand, are conscious and don’t feel comfortable about having hair loss. Many people suffer from this awkward problem and they seek effective measures to cure and prevent hair fall. So, how can you stop hair loss? The answer to this question is shared on this blog. We will show you how you can control hair fall. The hair fall solutions that are mentioned in this blog are effective means and are completely based on home remedies. We have some hair fall remedies which can guide you to restore the growth of your hair in an effective manner. There are many factors that can cause hair loss in an individual. It could be either naturally, that is, through aging or, through the use of chemical substances and products. Sometimes, even an improper diet and stress can result in hair loss. As the pollution in our environment is increasing at a rapid rate, it is causing harmful effects not only on the ecosystem but to humans as well. Most of the time, common hair fall problems occur due to environmental factors such as toxic air and pollution. When you experience hair loss, it becomes quite difficult for your hair regrowth. For example, when you pluck a few strands of your hair out, you will notice that it usually takes a couple of days to occupy that portion of your head with hair regrowth. It can be tormenting when you suffer from a hair loss. You may notice that when you comb your hair after washing it, you see a whole lot of chunk stuck on the comb. It is a sad thing though. This can perhaps, result in a genetic condition or it may happen due to lack of proper nutritional diet and hormones. You can easily control hair fall by following the natural hair fall remedies and regain your hair quickly. Here, you will be guided on how to stop hair loss and how you can prevent hair fall. 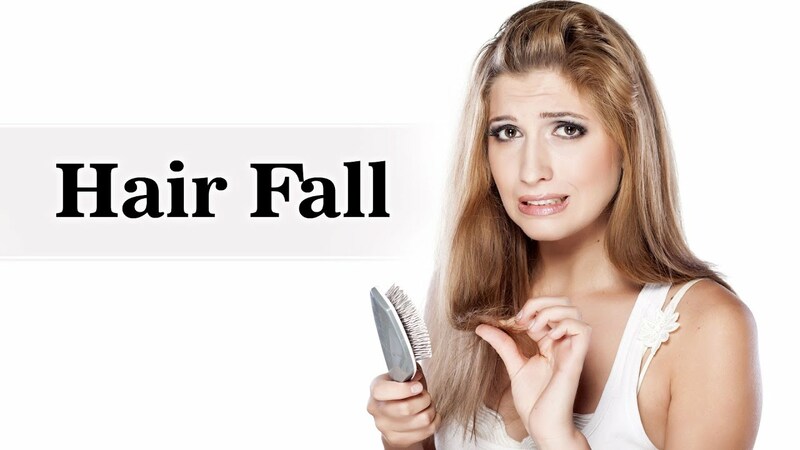 Follow these simple and natural hair fall remedies that will help you control hair loss and promote hair regrowth. Coconut oil has rich properties and are very effective for hair growth and preventing hair loss. By applying coconut oil on the scalp of your head twice every day, once in the morning after taking a shower and again at night, before going to bed. Coconut oil keeps your hair strong and prevents it from falling. The use of Indian lilac seed oil (aka neem) is also a natural remedy for controlling and preventing hair fall and hair loss. Its aromatic oil is made from the seeds of the Indian lilac, often called neem, and is used for various purposes, one of them is making your hair grow strong and healthy. Aloe vera has natural properties which can help you take care of your hair. By applying aloe vera oil on your hair a couple of times in a week can reduce hair fall. Apply this oil after washing your hair. There are aloe vera gels as well, for some who might want to try it out. The use of aloe vera oil also helps in fighting dandruff. Dandruff is also the cause of hair fall and should not be left ignored. Aloe vera oil is a natural way of dealing with hair fall problems and also promotes hair growth. An insufficient blood circulation in the head causes the scalp to become weak and result in hair fall. Using Rosemary oil on the scalp and gently massaging it can help the blood circulate properly. The purpose of using Rosemary oil is to boost blood circulation and strengthen your scalp. Do this for a few weeks and the massage will effectively stop hair fall. Castor oil is yet another natural remedy and seemingly an easy way to prevent hair loss and promote hair growth. Apply castor oil on the scalp and give it a massage. After applying the oil to your scalp, leave it for sometime and after a few minutes, wash and dry your hair. You will experience a healthy and strong hair. Keep doing this for a period of a few days and the problem with your hair fall will soon disappear. The Indian gooseberry oil (called amla) has rich properties of vitamins and are used for several purposes. Using the Indian gooseberry oil can help fight dandruff and hair fall problems. Apply the oil on the scalp of your head after washing and comb your hair properly. This Indian gooseberry oil is very effective in terms of hair growth. In case you do not know, beetroot has so many benefits to your health. It contains necessary vitamins, proteins, carbohydrates, and phosphorus. So, if you drink a glass or two of beetroot juice every day in your diet, it can possibly stop hair fall, besides providing the vital benefits to your health. It is proven that most of the times, you suffer from hair fall due to various health deficiencies. If you are not eating proper food that your body needs, it can result in hair fall. Therefore, in order to stop hair fall, you may include biotin foods in your diet. Some of the common foods that are rich in biotin include green vegetables, dairy products, soya beans, broccoli, cauliflower, kale, cabbage, and fruits. These are rich in vitamin B and can aid in hair growth. Pollution is ever increasing these days and so are problems with humans. The pollution in the environment and surroundings contain harmful toxins which can greatly cause problems with hair loss. So, avoid going to surroundings that may have higher rates of pollution. The toxin particles of pollution that come in contact with your hair cause your hair to become weak and lose its density. So, if you plan to go out, remember to cover your head and protect your hair from damage. If you have started experiencing problems with your hair fall by using chemical products such as hair shampoos and conditioners, then it is advised that you stop using such products. Many products that are available in the markets may not be perfectly suited for your hair. Therefore, use only those products that do not cause any side-effects.